While I’m a fan of all sports I try to keep to writing about hockey. However, last month I put together my idea for a possible college football playoff that I would like to share. Feedback is encouraged because I think FBS (former D-IA) is overdue for a playoff. Below is my attempt at creating a college football playoff. · Keep BCS system as it is today to rank teams. At the end of the season—in the final BCS poll—remove BCS conference champs. · Take remaining teams and put them in order. Top 6 ranked teams get at-large bids. · Of the 12 playoff teams top four in BCS get bye weeks. Seeding based on BCS rank among 12 teams. · Regular season ends Saturday before Thanksgiving at latest. Conference title games played Thanksgiving weekend. · Opening Round played weekend after conference title games. · Playoffs run through National Semi finals weekend. · Monday after national semi final games is when the minor bowls start. Bowls played every day at existing sites and played for subsequent two week period leading up to National Championship Game. · Four BCS Bowl sites kept as is. · Sites get a national quarterfinal (to be shown in prime time) national semi-final, and national championship game on rotation. 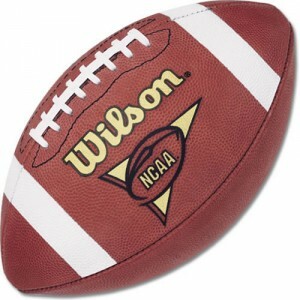 · Minor Bowl games played in two weeks leading up to national title game (after national playoffs). Their significance is not changed at all. I realize there are a lot of logistics to figure out but this is the basic frame work. The automatic bids disallows a team in a major conference to feel like they were cheated, win your conference and you’re in guaranteed. The at-large spots give those not in BCS conferences a chance to participate and it gives teams who played in top level conferences but did not win it a chance gain a spot as well. And no the idea did not come from the NFL but rather it was the best way I could think to have automatic bids make up half the playoff and half to be at-large (similar to basketball where the split is close to 50-50 at 34 at-large to 31 automatic bids). I also thought this might be the best way to determine a champ on the field while also keeping a healthy discussion going about: 1. Who should be seeded above whom and why 2. Who should be the “twelfth” team in. Politics aside, the Russian professor making headlines today for predicting the demise of the United States in 2010 may have unwittingly provided a solution to those calling for a college football playoff system.